I'm Erin. After seven years running a busy private practice in the heart of New York City (Madison & 40th Avenues), my husband and three children decided to dramatically change the pace of our lives and are now happily settled in Teton Valley, ID. 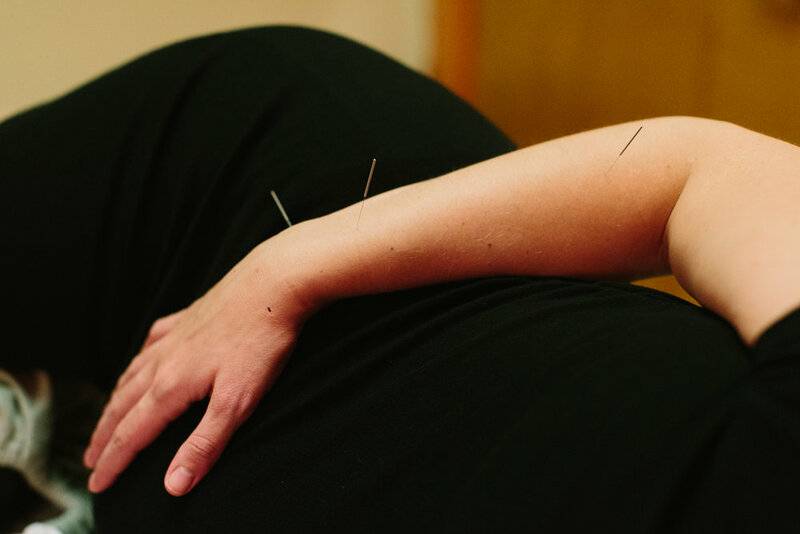 I am a Licensed Acupuncturist, Board Certified in Chinese Herbal Medicine, Certified Women's Herbal Educator (Western Herbs), Nosara Yoga Instructor and a DONA trained Labor Doula. With over fifteen years of clinical experience, my training included rotations and apprenticeships in several renowned institutions such as NYU Center for Joint Disease, the VA Hospital in Manhattan and Zhejiang Hospital in China - honing my expertise in the fields of Infertility, Female Hormonal Transition, Sports Medicine and Pediatric Health. I maintain a clinical Acupuncture practice in Victor, Idaho and offer house-call sessions in Teton Valley and Jackson Hole. I also offer remote wellness coaching packages globally. To continue the conversation about resolving your symptoms from the root (naturally), please set up an appointment via the button below. Custom herbal formulas that stem from Chinese, Western and Culinary Traditions. Safe, effective and natural support for a variety of ailments. With over 15-years clinical experience treating a wide-range of conditions, Erin sees clients in Jackson Hole, Teton Valley and New York City. Customized packages that include a holistic health evaluation, individualized strategy and consistent coaching calls to deepen the results. Erin Borbet is a Licensed Acupuncturist and Board Certified in Chinese Herbal Medicine. With a world education and nearly a decade of private practice in New York City, she has a unique expertise in the fields of Fertility, Pregnancy/Post Partum and Pediatric Care. Read Erin's full story here, and more about her approach and the concerns she can support here.